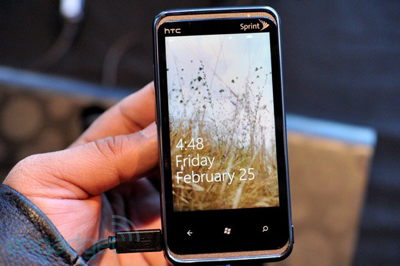 Engadget was able to get a preview of the upcoming HTC Arrive, which is arriving on March 20th on Sprint. The HTC Arrive is actually the HTC 7 Pro rebranded for Sprint. It will include the March update that allows for CDMA support and gasp, copy & past. Check out the video below for a quick demo.